Over time, UV rays can oxidize the factory-applied clear coat on your headlights, rendering them dull and hazy. Instead of replacing them, you can save hundreds of dollars by restoring them yourself with one of these under-$20 kits. Based on personal experience, I recommend the Mothers NuLens Headlight Renewal Kit that uses a power drill to sand off the haze because it’s fast and easy to use. However, it doesn’t come with a replacement UV-blocking coat, so you’ll have to re-polish the headlights every once in a while. 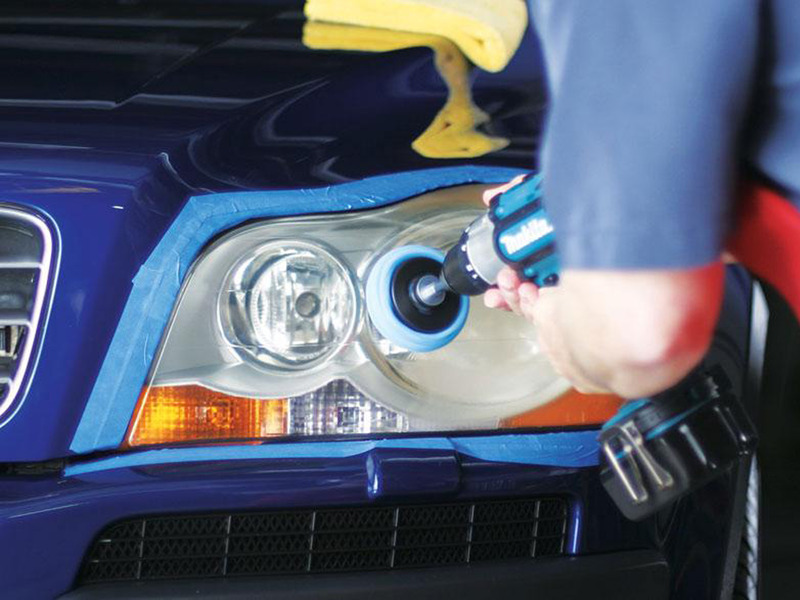 If you’re willing to put more time and energy into the process for longer-lasting results, the Sylvania Headlight Restoration Kit comes with a replacement clear coat to protect your lights over time, but it requires sanding down your headlights by hand. Driving at night is no fun (not to mention dangerous) when you can’t see where you’re going. Although you’ve probably blamed poor visibility on bad bulbs, the problem is more likely the headlight lens, not the lights themselves. Most headlight lenses are treated with a UV-blocking, clear coating from the factory, but over time, they can become corroded. The corrosion causes a dull and hazy overlay, which drastically diminishes light output — and no matter how bright your bulbs are, you won’t be able to see well. But instead of spending hundreds of dollars replacing your headlights, there are much more affordable ways to make them crystal clear again. You may have heard of janky methods involving toothpaste or bug spray to clear headlights, but the best way to do it is with a headlight restoration kit and a little bit of elbow grease. As a car enthusiast, I’ve done my fair share of DIY projects involving car restorations and repairs, and clearing up a set of headlights the simplest and and most satisfying jobs to complete. A headlight restoration kit: I recommend the Mothers NuLens Headlight Renewal Kit that uses a power drill to scrub through haze quickly, though it requires a little more maintenance since it doesn’t come with a replacement UV-blocking coating. You can also opt for the manual Sylvania Headlight Restoration Kit that requires sanding by hand. It takes more time and effort, but it comes with a UV-blocking coat that will give you longer lasting results. I haven’t tested this personally, but it’s highly rated on Amazon (4.6 stars out of 5, from over 4,200 customers). Painter’s masking tape: If you don’t have some, any one of these on Amazon will do.